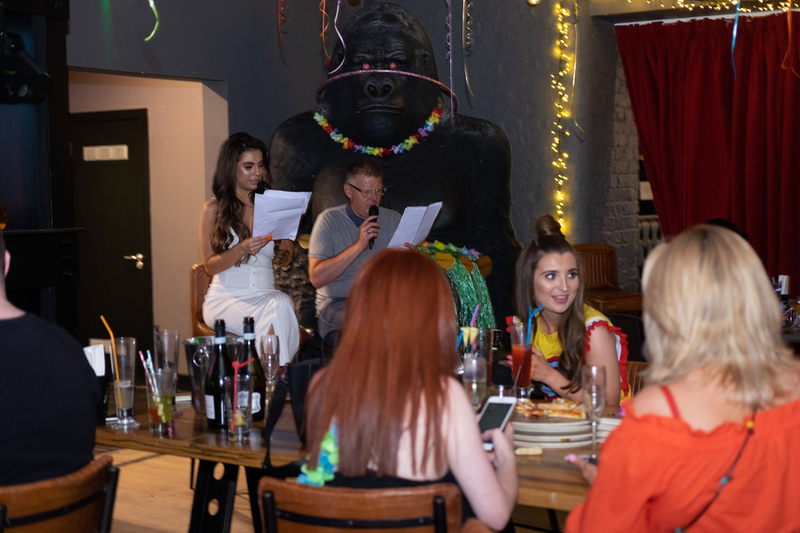 Last week, we played host to our very own Love Island quiz at Arthouse Hotel Liverpool. 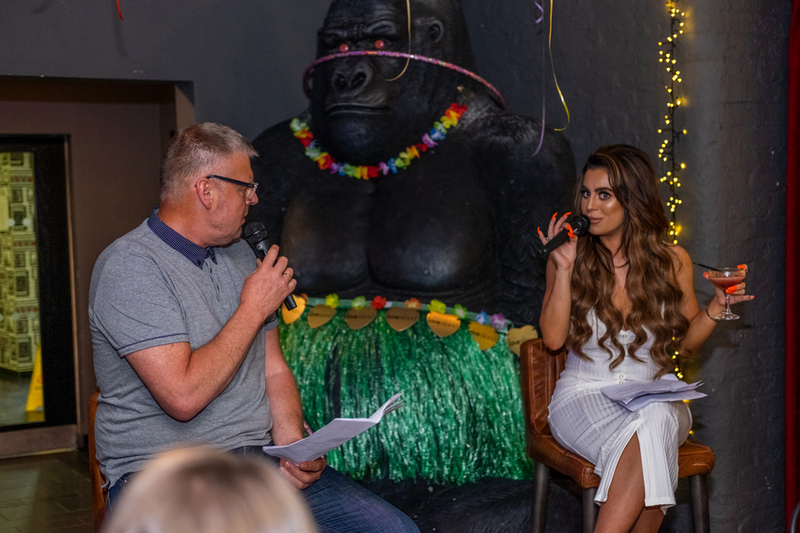 The summer fun was hosted by Love Island’s Katie Salmon and Signature Living’s very own Roger Jonas. 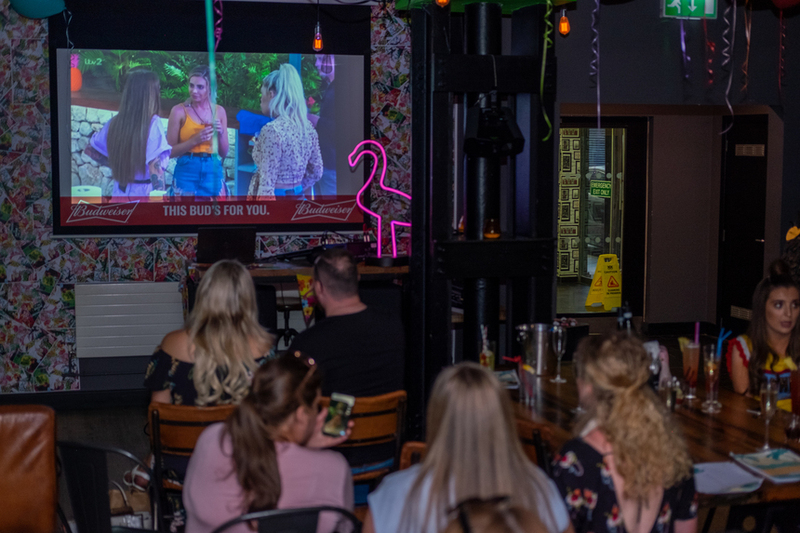 The night saw fans of ITV2’s biggest show gather to put their Love Island knowledge to the test! And we certainly threw in some fabulous prizes along the way. Roger and Katie put fans through their paces with a variety of quiz rounds. 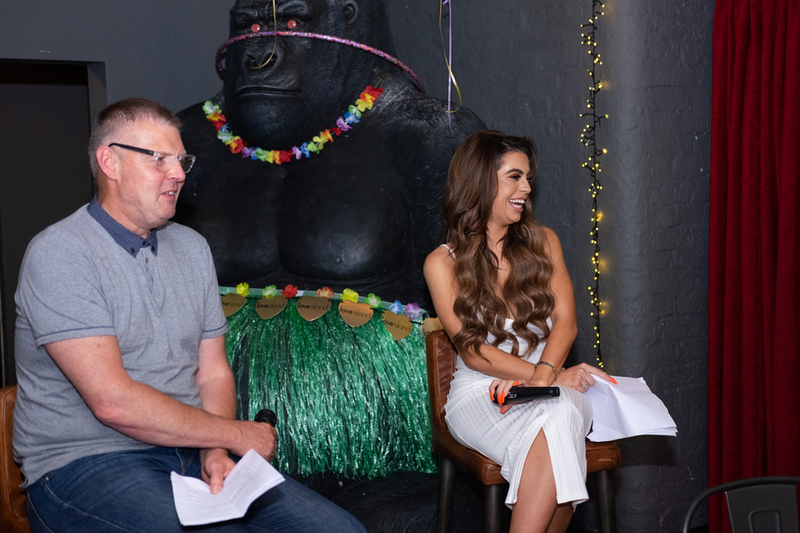 Love Island winner Cara De La Hoyde and fellow Islanders of the past Gabby, Georgia and Tyne-Lexy stayed at Signature Living’s Shankly Hotel just a few weeks ago. And during their stay, we filmed some exclusive videos for our video quiz round. 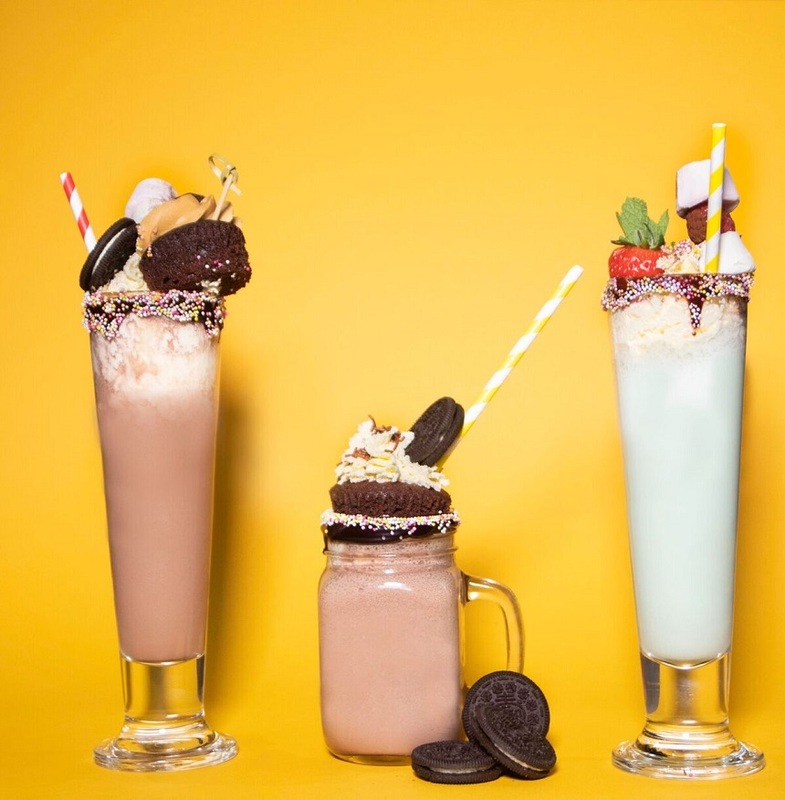 We also served up a colourful range of refreshing Love Island cocktails. Our eclectic menu featured the Do Bits Society, Megan the Snake and My Type on Paper. What more could a Love Island fan want?! Our colourful creations went down a treat with our quiz guests. 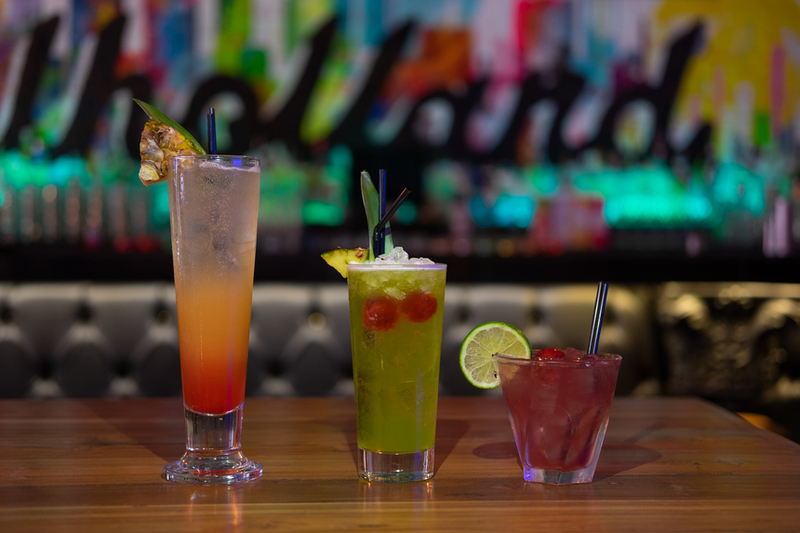 Poured to perfection by our cocktail experts, Arthouse Hotel’s Mulholland Bar is one of the best spots for cocktails in Liverpool. 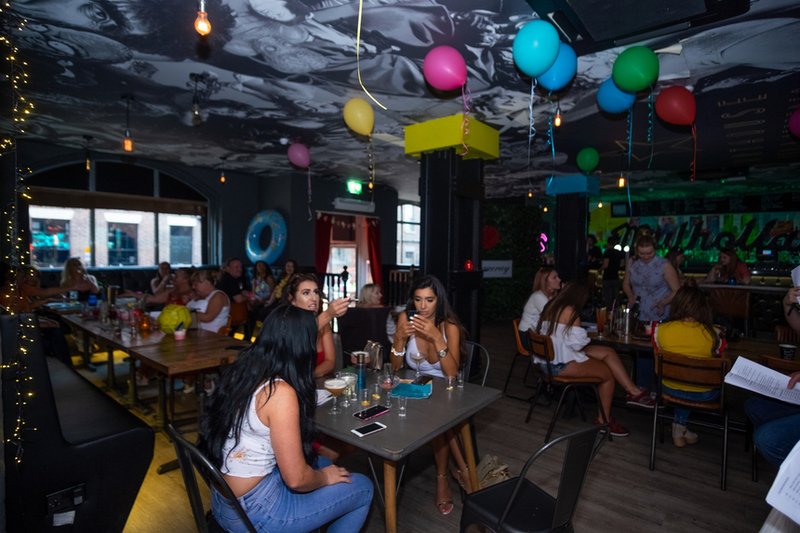 We spread the summer vibe around Arthouse with plenty of decorations brightening up the bar. Even our famous gorilla sported some summer attire! Quiz attendees enjoyed our range of cocktails and indulged in delicious pizzas. Love Island’s Katie Salmon was joined by her girl group including Instagram star and model Chloe Khan. Of course, we couldn’t let our Love Island quiz-goers miss an episode! In between the fun, we showcased the latest antics of the villa on our big screen. The drama saw Wes save Megan and everyone’s favourite love-to-hate Islander Adam pack his bags for home. It’s safe to say we had our very own commentary of cheers and boos as the dumping took place. At Signature Living, we never do things by halves. So, we went all out with amazing prizes for our quiz winners. 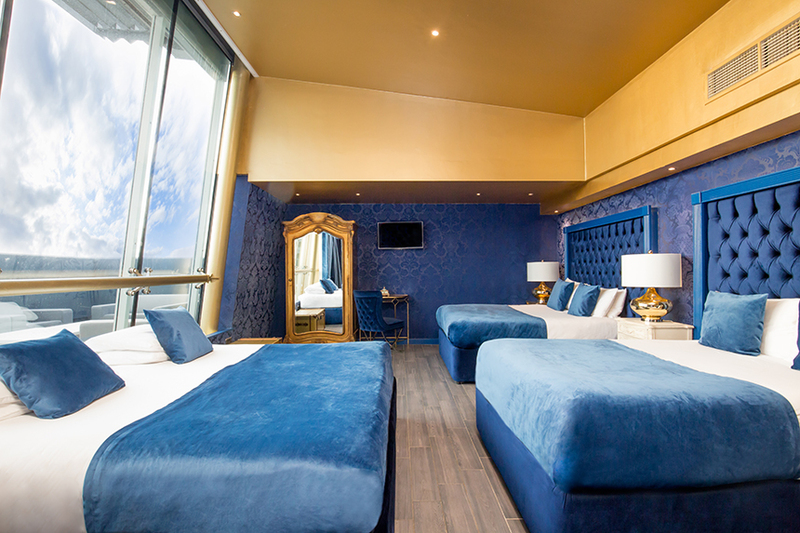 The first prize saw our lucky winners bag a stay in our luxury Skyline Suite. 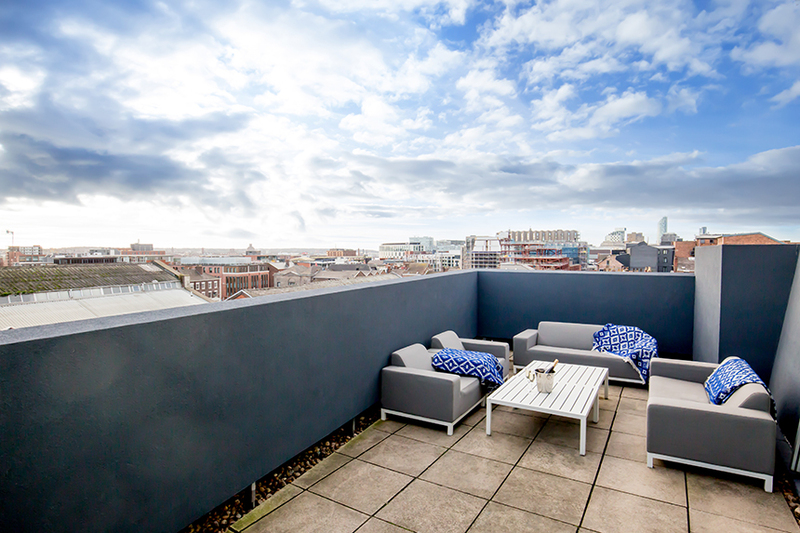 The perfect party atmosphere, the stylish spot features everything from a large pool-style bath to outdoor terrace looking out across the city. 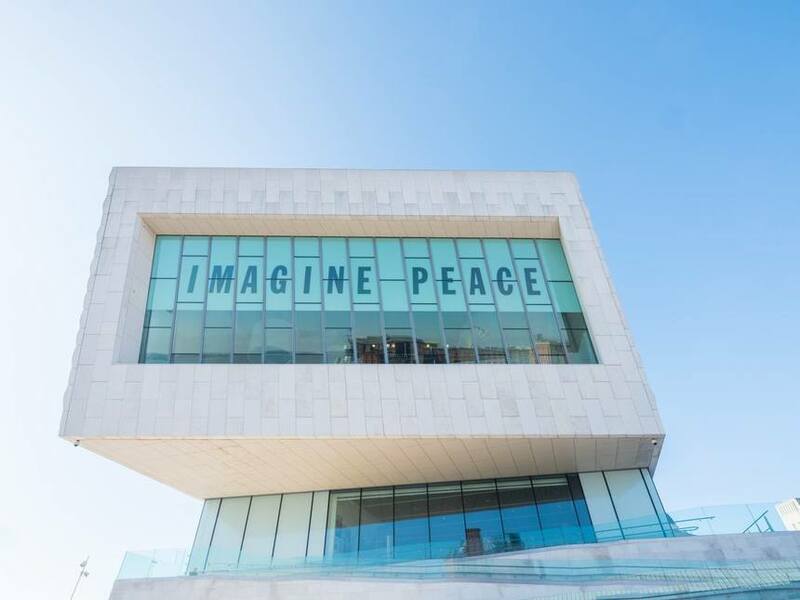 The second prize offered the winner a romantic date night meal at Liverpool’s iconic Alma de Cuba bar and restaurant. And last but not least, winners of our third prize got their hands on some Love Island themed goodies! 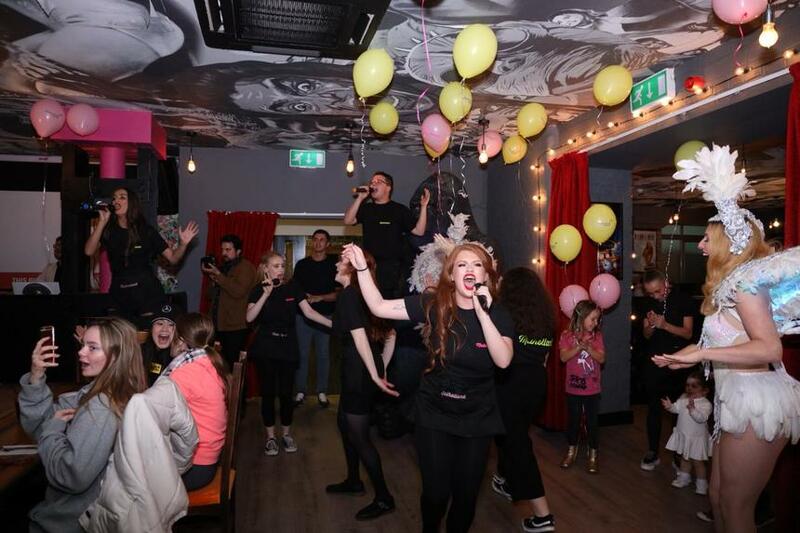 To keep up with the latest Signature Living events at Arthouse and beyond, make sure you give us a follow on Facebook. 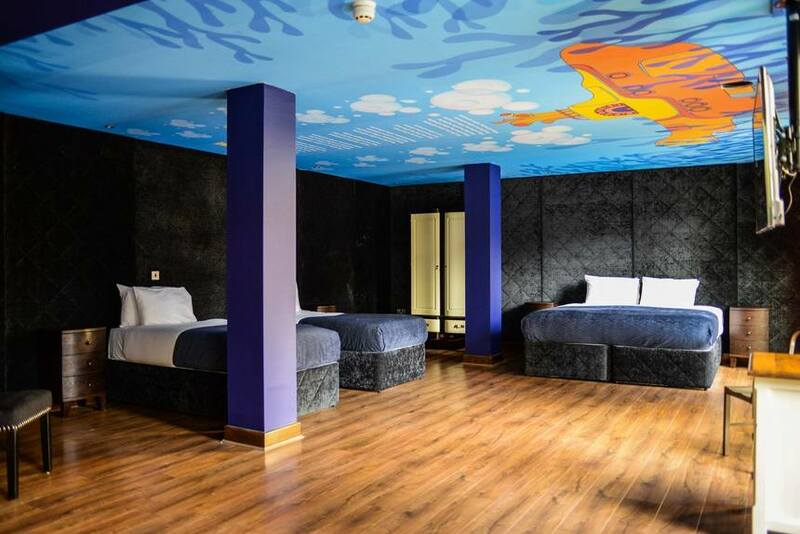 You’ll also find the latest offers at Arthouse Hotel here. 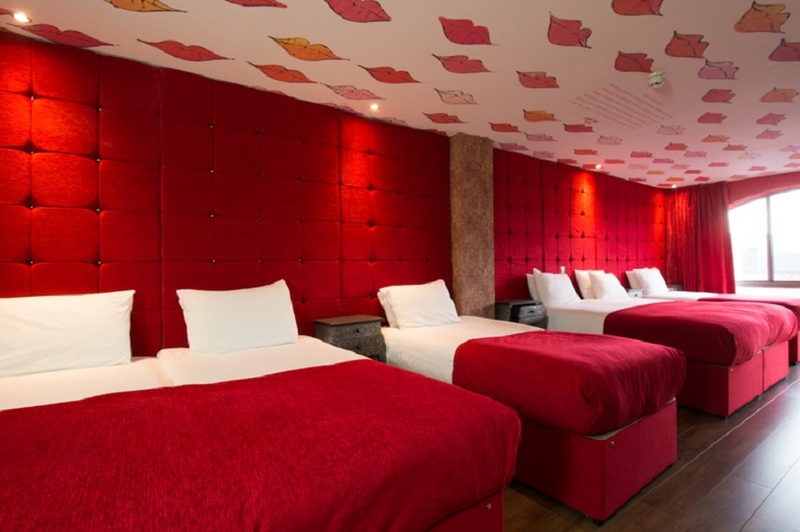 This summer, why not join us for a girls weekend away in Liverpool at Arthouse Hotel? With weekend availability this August, don’t miss out on the fun! 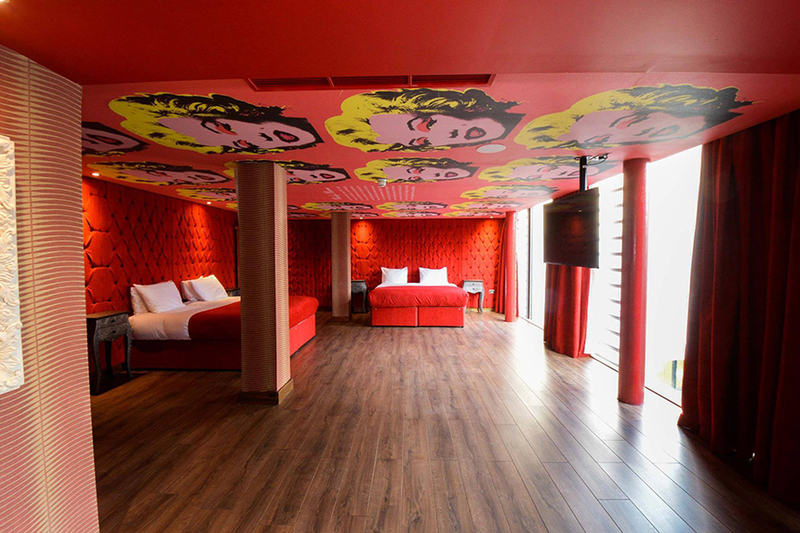 Arthouse is a movie-themed hotel in the heart of Liverpool nightlife. 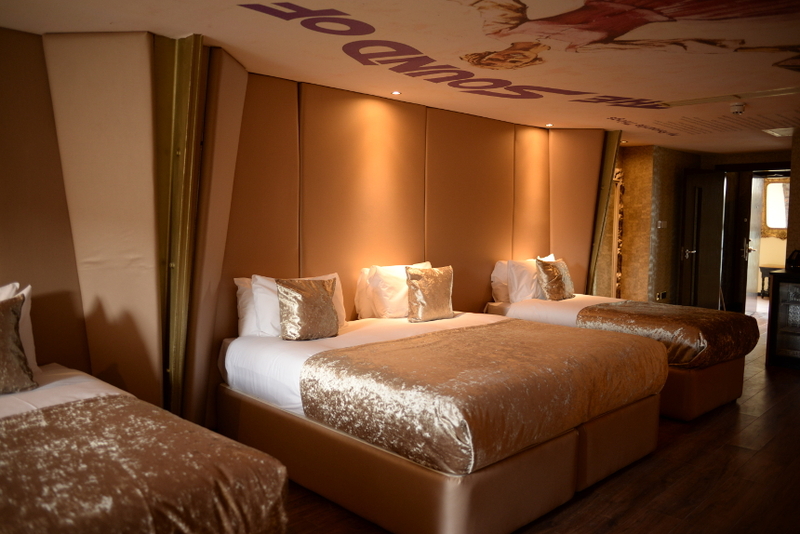 The perfect spot for a sleepover or night out with the girls, what better way to spend a summer evening? 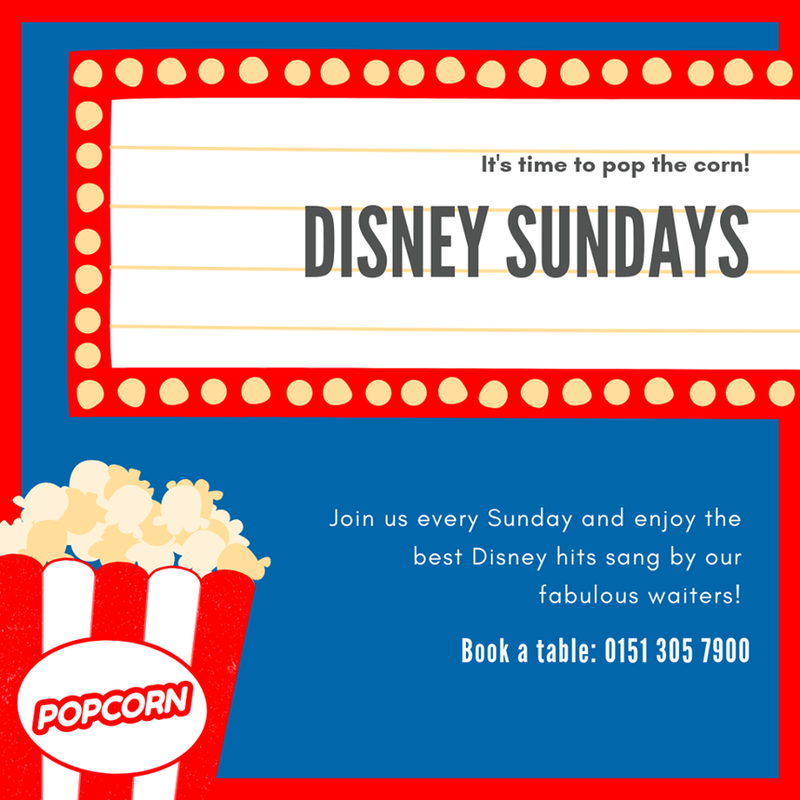 To get you in the spirit for a summer stay in Liverpool, we thought we’d celebrate the season with some of the best summer movies of all time. A charming tale of summer romance, Roman Holiday had to be on our list. Starring the timeless Audrey Hepburn opposite Gregory Peck, the romantic classic saw Audrey win an Academy Award for Best Actress for her performance. 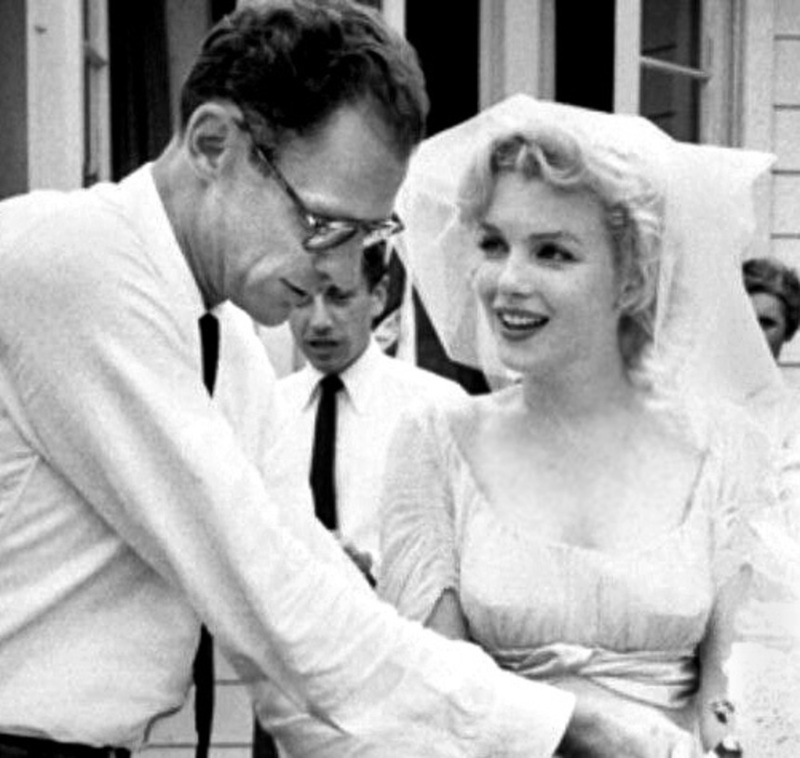 Starring the one and only Marilyn Monroe, The Seven year Itch is another of our favourites. 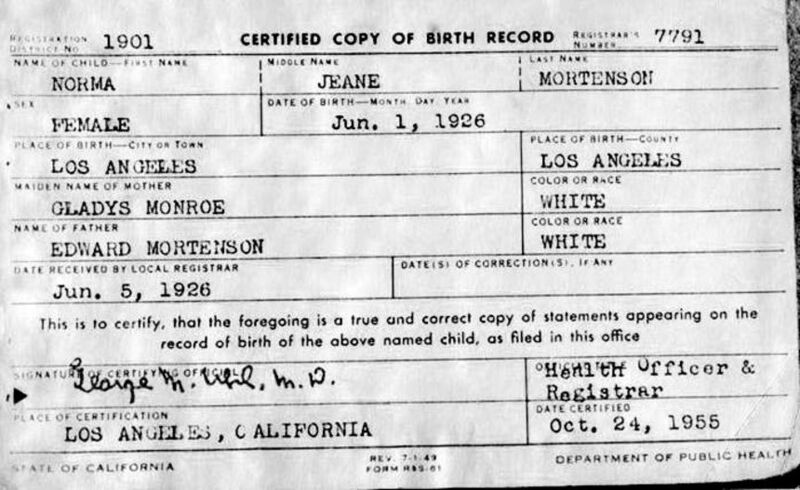 The dazzling Hollywood classic brought audiences the iconic scene of Monroe standing on the subway grate in her famous white dress. A sun-kissed Hitchock classic, To Catch a Thief stars the one and only Grace Kelly opposite the iconic Cary Grant. The alluring thriller takes audiences on a journey of suspense and romance with the glamorous backdrop of the French Riviera. A coming-of-age comedy by Rob Reiner, Stand By Me brings Stephen King’s novella The Body to life. The heartwarming film is a summer classic. Following the friendship of four boys from a small town in Oregon, viewers are brought along on an unforgettable hike in search of a dead body. Starring Lindsay Lohan (opposite Lindsay Lohan!) The Parent Trap is a family favourite when it comes to childhood summer movies. The feel-good film features everything a summer film should do, from summer camp chaos to lakeside mischief. Not forgetting, there’s a fantastic use of Beatles hit ‘Here Comes the Sun’. It goes without saying that Grease is on our list of the best summer movies ever made! 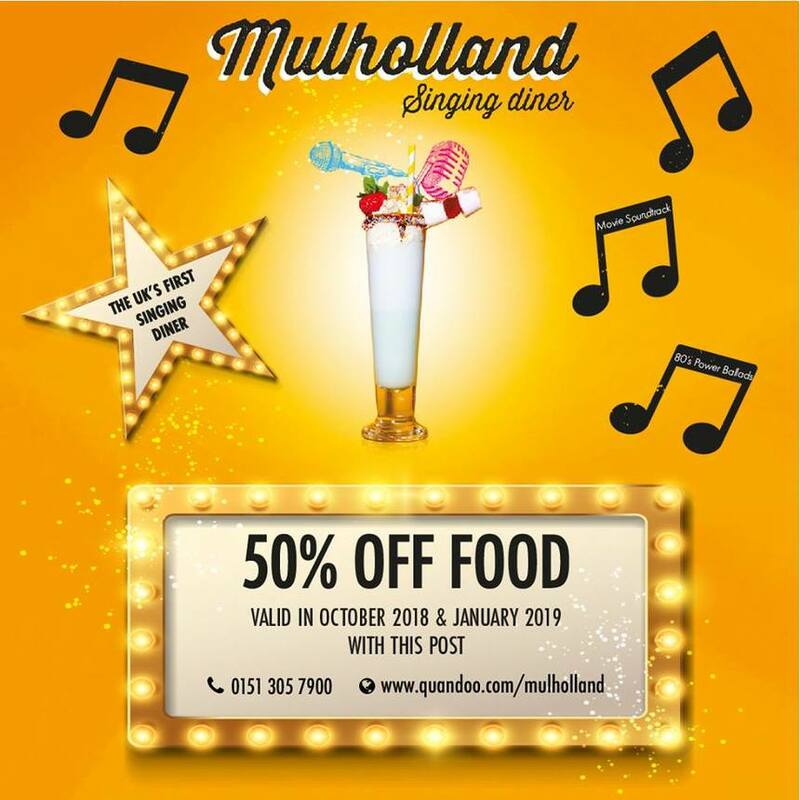 The musical comedy starts with summer dreams ripped at the scenes as the holiday romance of Danny and Sandy comes to an end. And though heading back to school is usually a bit of a downer, John Travolta and Olivia Newton-John keep the fun alive alongside an all-singing and all-dancing cast. Last but certainly not least, our list of summer movies wouldn’t be complete without Steven Spielberg’s iconic thriller, Jaws. Shot along the sandy shores of Martha’s Vineyard, the must-see summer blockbuster of 1975 became the highest-grossing film of all time until the release of Star Wars. Arguably the best bit of all, the spine tingling score compromises of just two alternating notes. 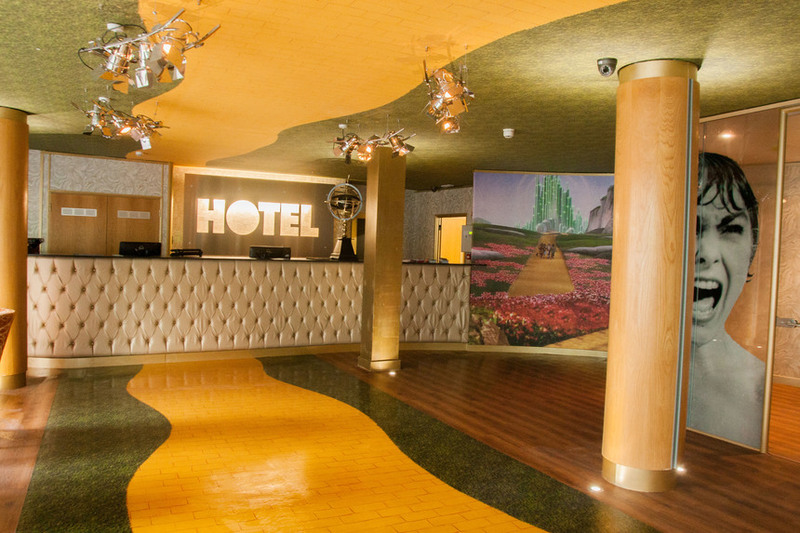 Arthouse Hotel is a unique themed hotel, situated along dynamic Seel Street. This spectacular spot is inspired by timeless movies and pieces of art from throughout the years. 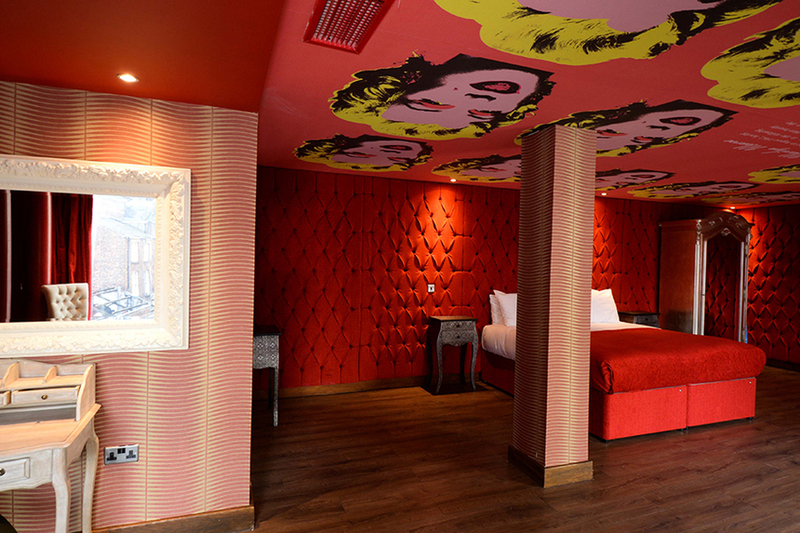 One of our most popular summer rooms is our dazzling Marilyn Monroe themed room. Decorated in glamorous shades of red, this fabulous space is truly one of a kind. 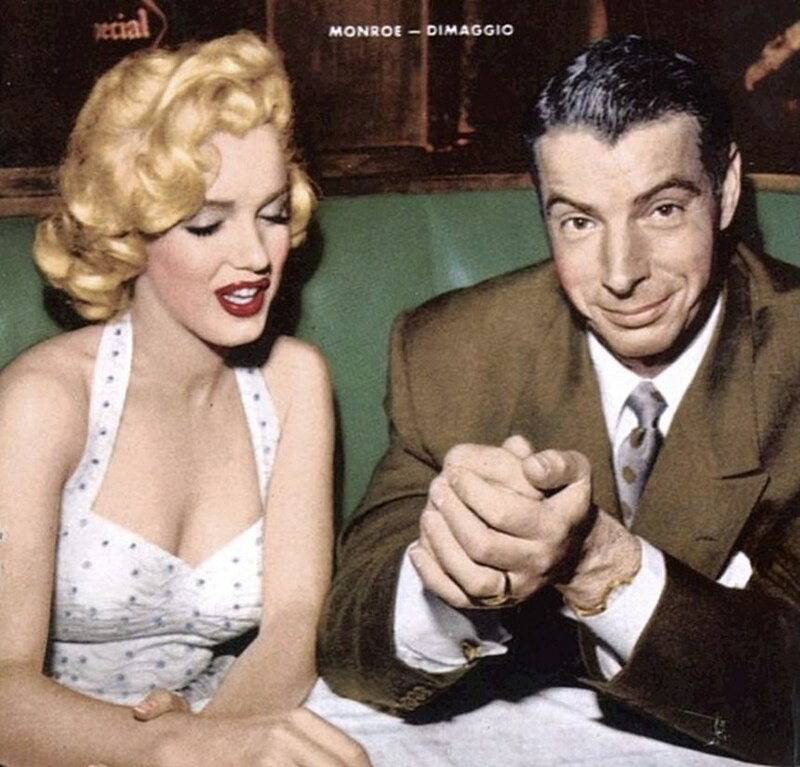 Have your very own Marilyn moment as you and the girls enjoy a night in style. 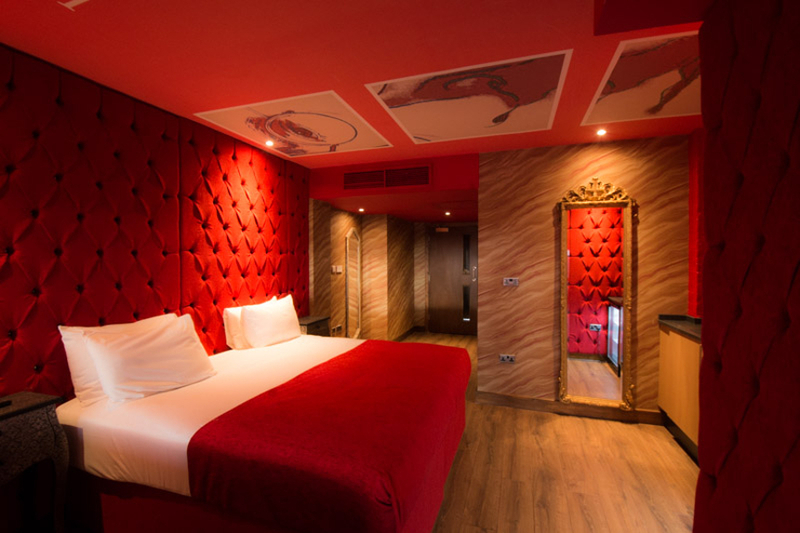 Sleeping 4 guests, this stylish room includes a whirlpool bath, TV and dressing table. 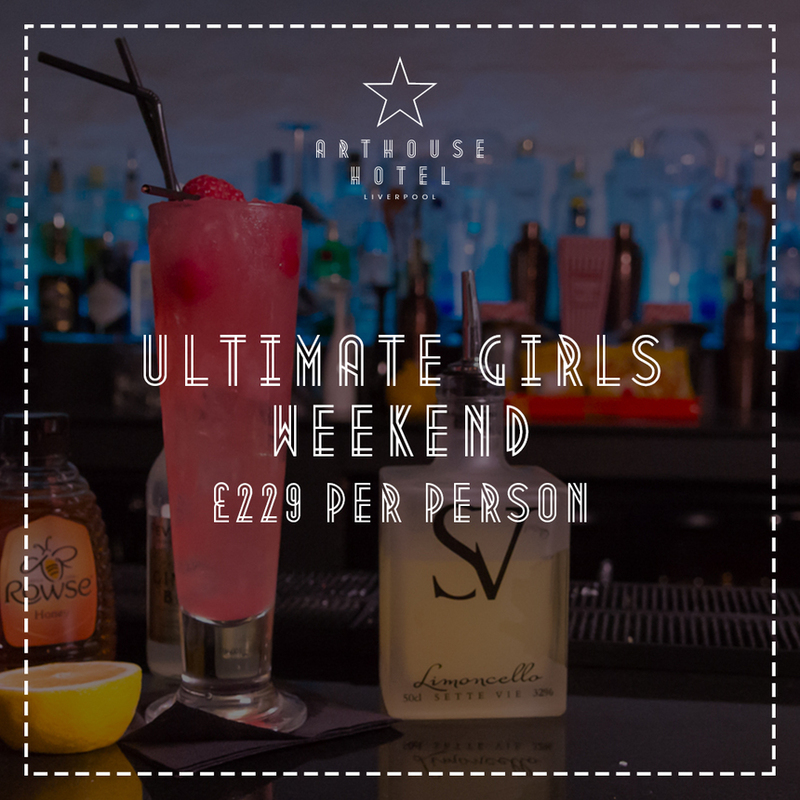 Our Ultimate Girls Weekend deal is the perfect way to spend a fun-filled weekend in Liverpool city centre, only moments from Liverpool nightlife. 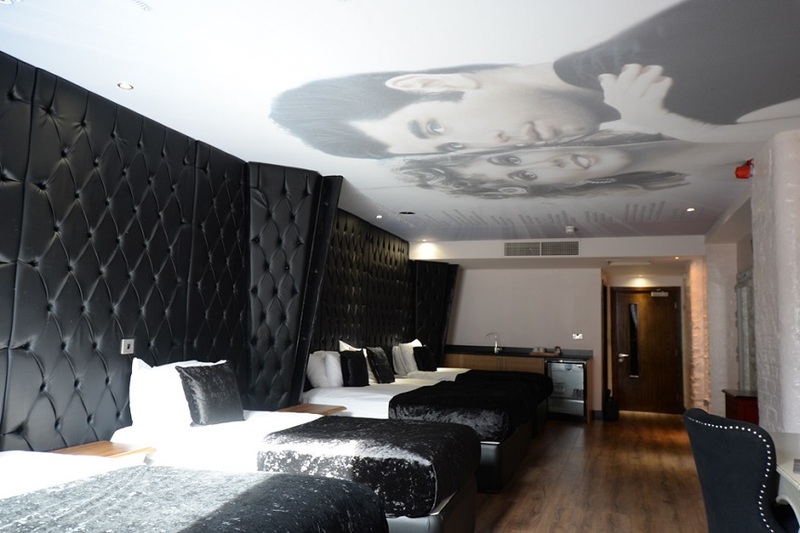 To find out more or to book your stay at Arthouse Hotel, you can reach our friendly team on 0151 601 8801.